Transfer on Death Deeds transfer property after death of the owner. How it works: The owner of real estate executes a Transfer on Death Deed and files it in the county where the property is located. When the owner dies the beneficiary files a Transfer on Death Affidavit and receives the same title that the previous owner had. The named beneficiary is not granted an immediate interest in the land. 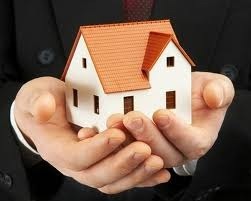 Therefore, their financial problems or liens against them do not impact current property owner. The owner is free to sell, mortgage, and transfer the property without consent or notification to the beneficiary. The owner can revoke the deed if he no longer wants that beneficiary to receive it. There is no need for probate and it is not available to pay creditor’s claims. If the beneficiary does not act timely after the owner’s death the property becomes part of the owner’s estate and subject to probate. If the owner wants another beneficiary to receive the property the previous deed must be revoked. Difficult to name contingent beneficiaries. No Asset Protection for You or Heirs.